That's French bread... You're supposed to run! You'll never take me hungry!! 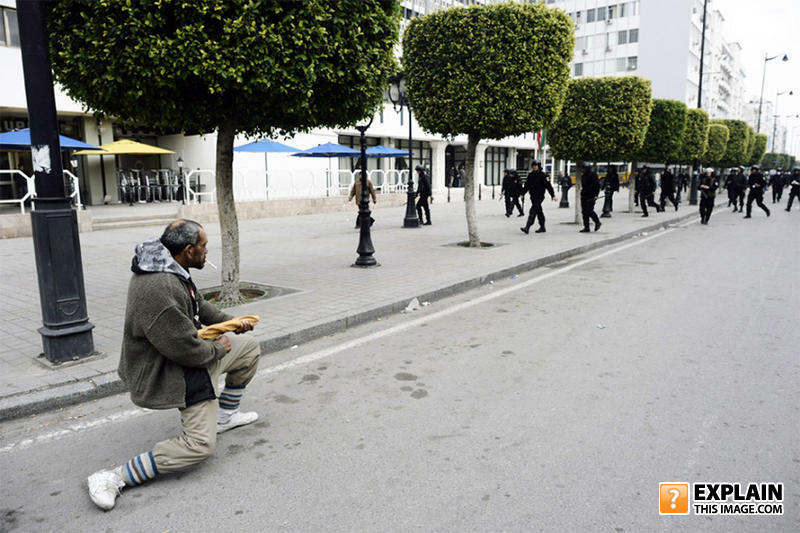 Dude was thinking "I'm gonna kill all hunger in the world with this bread! ", "And no one is stopping me!" GTA SAN ANDREAS SECRET WEAPON! F*ck ya people if this was a real gun I would of kill ya!!!!! What is similar to an orange? ?